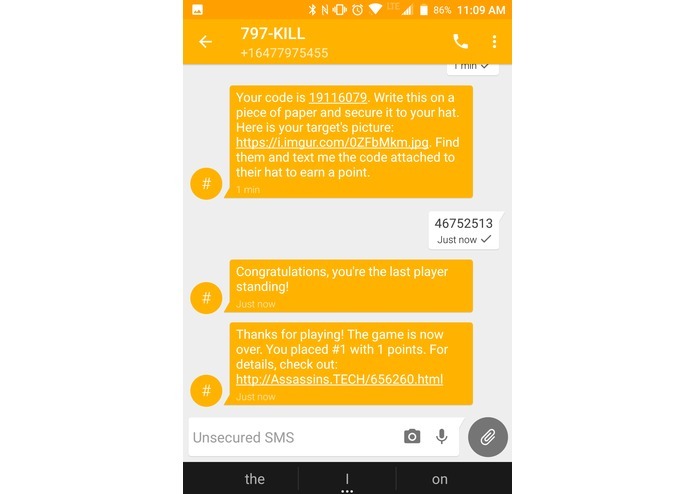 We wanted to do something involving SMS, and a game was what we thought of. The game is very simple. The leader of a group sends an SMS saying "new" to the phone number (16477975455) and they receive a group code. 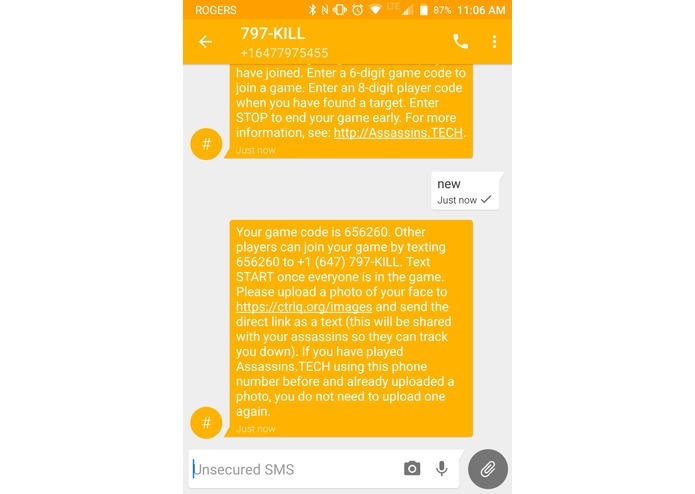 Then other users can enter that code on their phones. 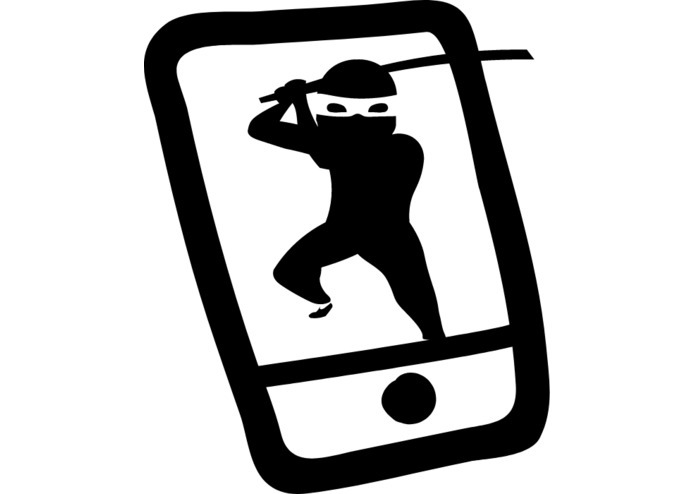 All users must send their picture to the game so that people know who their targets are. Once your game is ready to start, the leader says "start". At which point all users will receive their personal code, and a picture of their target. 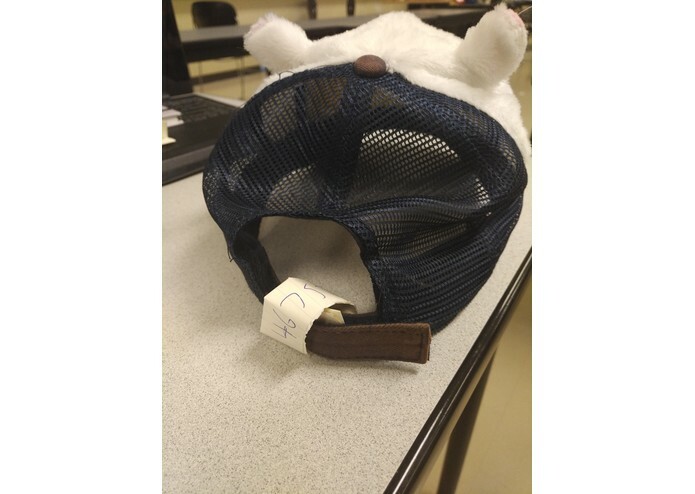 Users must then write down their code on a piece of paper, and attach it to their hats. 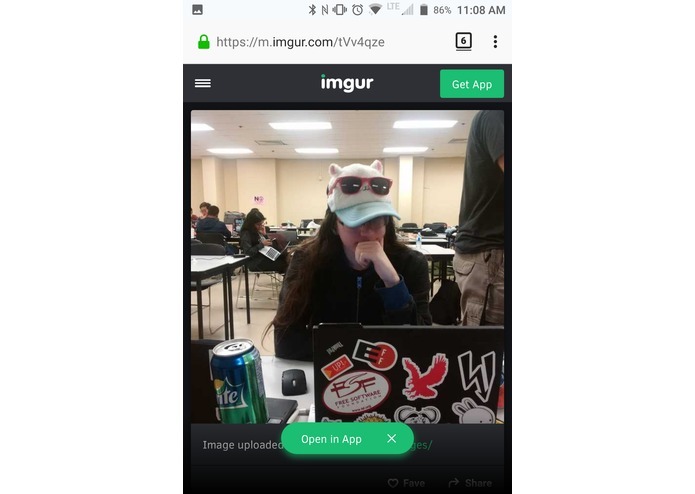 Your task is to hunt down the person you have the picture of, and retrieve the code attached to their hat. 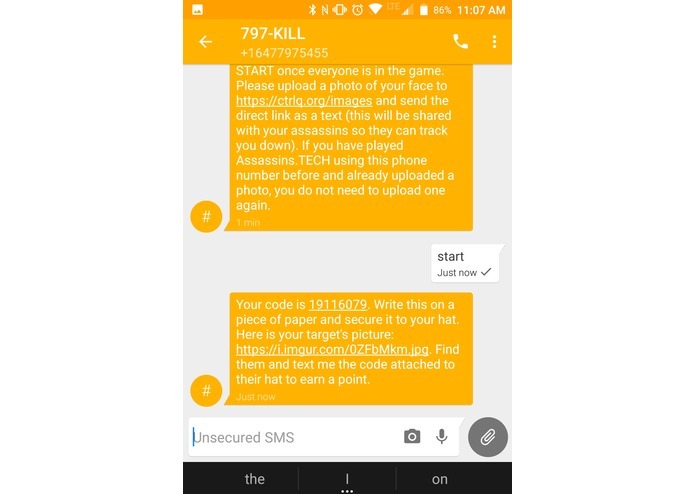 Once you have it, you will text it in to the system to "confirm your kill". The system will then remove that user from the game, update the score board, and send you a new target. The goal of the game is to be the last person standing. Our game and website is entirely generated through a series of shell scripts which get called by a main switch script that calls the script to run the appropriate function for each message received. Bash is bad. Really bad. Especially brackets. Most of our problems came from having brackets where they weren't needed, or not having them where they were needed. Regex is also very annoying, especially when combined with brackets. We made a mobile app in shell that works on any sms enabled device, including your grandmother's Nokia. Producing shell scripts is really fast, debugging is really slow. Comments are probably a good idea to help you read your code when trying to debug. Not that we learned that. Abused the shell a little less and created extra work for Kyle.